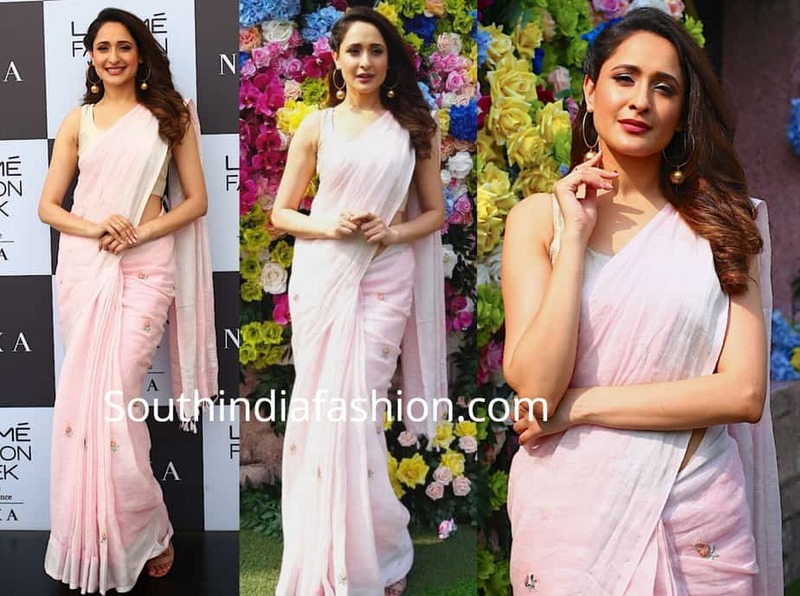 Pragya Jaiswal attended Sailesh Singhania’s show at the Lakme Fashion week wearing a baby pink floral embroidered linen saree with white sleeveless blouse by the designer. The actress finished off her look with a pair of gold hoop earrings and wavy hair! 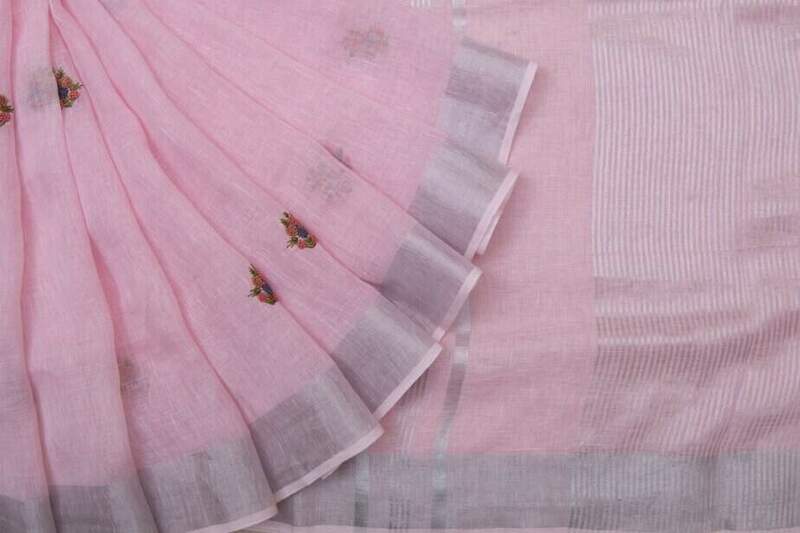 Shop this linen saree online HERE!